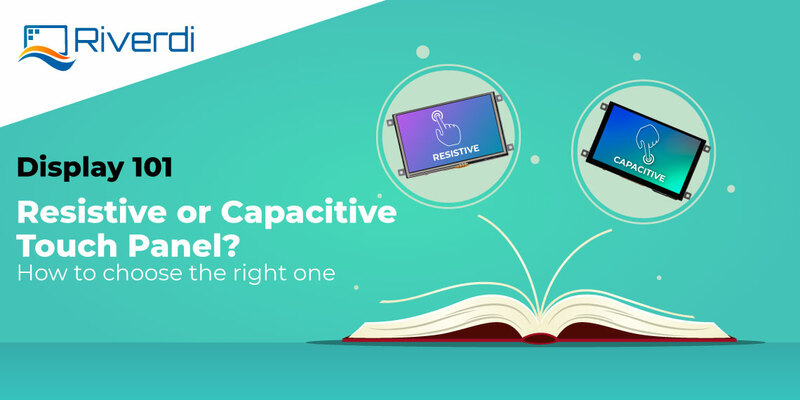 Everybody knows how popular capacitive touch panel displays are. But do you know how they work, and what they are made of? 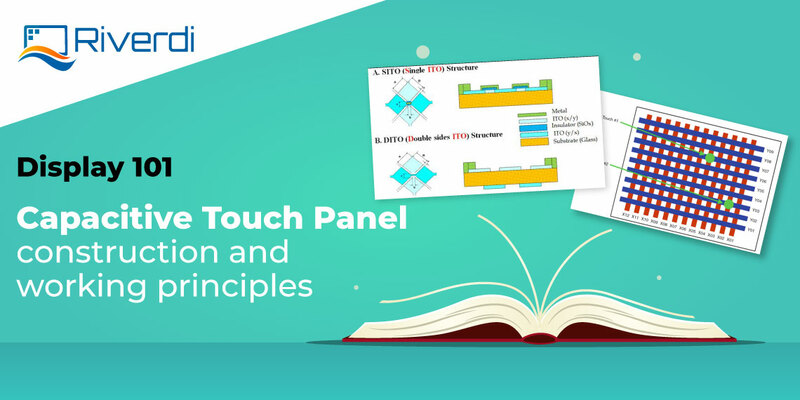 This Display 101 article will explain popular capacitive touch panel structures, materials, and basic technology. The capacitive touch panel main components are the cover window, touch sensor and touch control board. So, let’s start from the cover window – it can be made out of glass, and it can be synthetic as well. The most popular synthetic components are the PMMA and polycarbonate. For glass, the most popular materials are chemically strengthened glass and thermally tempered glass. The choice of the cover window material is determined by the application and should be discussed during the design process. Furthermore, an Optical Adhesive connects the cover window with the touch sensor. Typical Adhesives types are: LOCA or the OCA (Liquid -Optically Clear Adhesive). Individual adhesives differ from each other by the physical state and the method of curing. The touch sensor can be made of glass, and it can also be made out of a film. 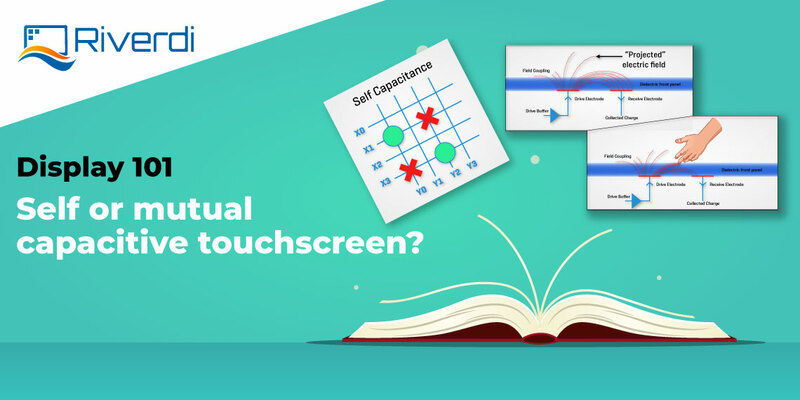 In simple words, the touch sensor is a combination of conductive material which acts as touch electrodes (ITO – Indium-Tin-Oxide) and the substrate (carrier) – which can be glass or film. The cover window (commonly called “cover glass”) is mechanical protection as well as a decorative element of the whole module. In most cases, the cover window is made of glass. Typical cover glass thickness are: 0.55, 0.7, 1.1, 1.8 mm. The standard thickness of the cover window in Riverdi modules is the 0.7mm for the 2.8-5.0” sizes and 1.1mm for 7.0”. For glass, a common phenomenon is a delicate green tint of the material. It is particularly visible on the edge of the screen. The reason for this is that it contains iron oxides. In some cases, this effect needs to be eliminated by using ultra-clear glass (to keep the true colors). The other thing is the safety of the glass. This parameter is achieved by strengthening the glass is the post-production process. The most popular performances are chemically strengthening (up to 3mm) and thermally tempering (performed for glass thicker than 3mm). The glass which was treated thermally is considered safer because it breaks into little, granular chunks which are not sharp (thus dangerous). The last step to ensure the safety of the glass is that the edges of the cover glass are c-cut. This treatment protects the edges from cuts and dents. As said in the previous paragraph, an alternative to glass is synthetic materials, as PMMA or polycarbonate. The choice of cover materials fits the working conditions and the environment. 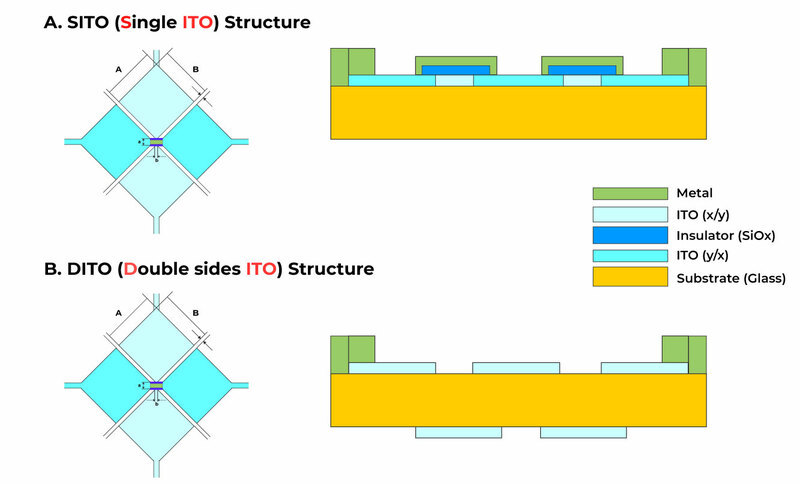 No matter what the cover window is made out of, the sensors’ fundamental construction uses two dielectrically separated layers with ITO (Indium-Tin-Oxide). 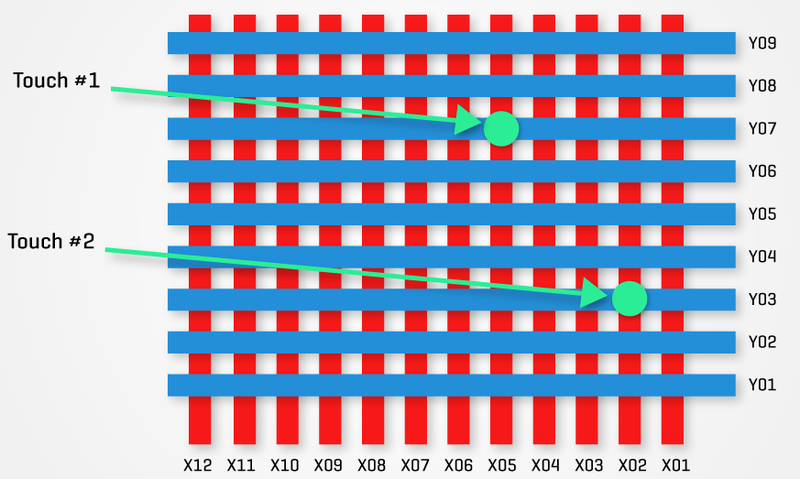 Those layers are configured in rows and columns positioned perpendicularly – creating a matrix. 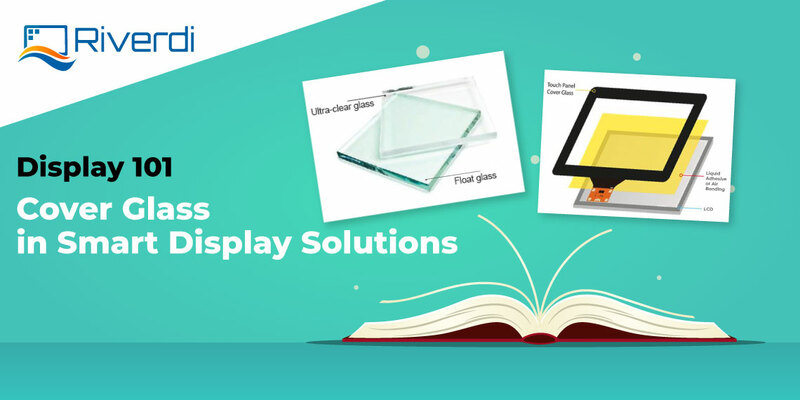 As mentioned above, a touch sensor is mainly done with double-sided ITO glass. The sensor’s pattern is created during the etching process. 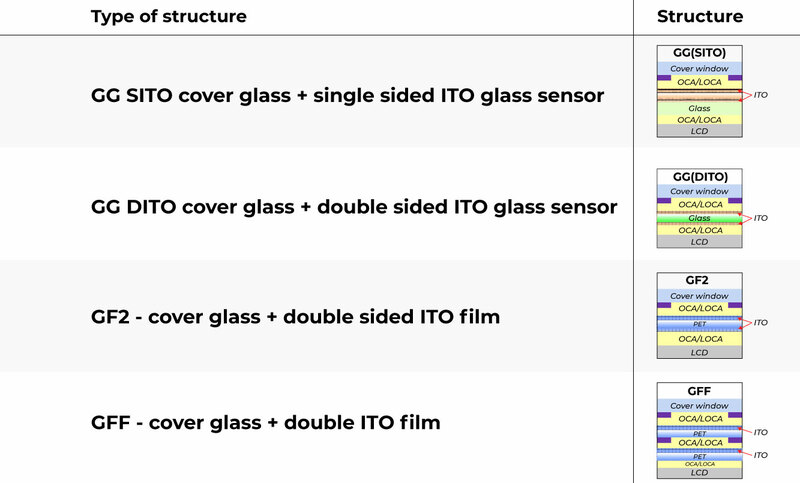 It is worth to mention that there is a technique to obtain a touch sensor with a single layer ITO glass (SITO). It is done by etching the sensor pattern on one side and later bonding particular X or Y electrodes, as shown on drawing below. The sensor ends with the electrodes – for collecting and managing the data from the electrodes the controller is needed. The choice of the controller should go along with the application of the module and circumstances that will be used in. There are many factors that should be taken into consideration. The very first step is the communication – the interface for the touch panel needs to be set. The most popular interfaces are the SPI and I2C. Riverdi touch controllers communicate via SPI/I2C also. Next, the size should be considered, as well as efficiency and safety of the control board. For that instance, the electromagnetic compatibility (thus also electrostatic discharge and radiated susceptibility) should be analyzed. The IC may perform various capabilities which shall come across the application’s requirements. You can find the IC for water performance or salty water environment as well as those supporting working in gloves and special gestures. The Riverdi standard controller supports cover glass up to 2 mm. Although we are familiar with the technologies which support the cover glass thickness up to 5 mm also. 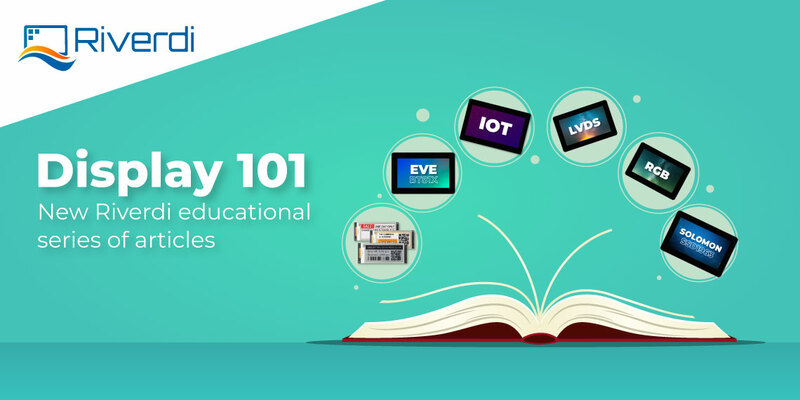 We hope you found this Display 101 article useful, and that you’re looking forward to the next one.